We are a group of journalists who work in the production of social communication projects. We work as a network from different parts of the world. We believe in the social role of journalism and its value as a tool for societal transformation. We believe in quality journalism made through collaboration and interaction between professionals, avoiding individualization, competition and the commoditization of information. We believe in independent journalism, which does not meet economic or political interests, with a public service role. We believe that the media should play an important role in building peace and social reconstruction. We believe that journalism has to focalize on people. We want to denounce situations where Human Rights are violated in conflict or post-conflict areas. We consider it essential and necessary to keep the focus of the information on communities that have suffered a fracture, once media attention has disappeared. We want to show social transformation initiatives anywhere in the world. She is journalist. She worked as a freelance in Sarajevo (Bosnia) from 1997 to 1999. She covered the postwar in Bosnia, the war in Kosovo and other prominent events of the former Yugoslav republics. In 2000 he joined World news section staff of Avui newspaper. She covered for Avui the fall of Slobodan Milosevic, the Iraq war, the independence of Kosovo or the massive opposition demonstrations in Iran after the presidential elections of June 2009, among other events. She was also chief sub editor of World News department for several years. On October 2010, she began a new career as a freelance journalist. Currently she works as Middle East correspondent for El Periodico de Catalunya. He is freelance journalist and documentary filmaker. He has worked for several broadcast and written media worldwide over the past eight years. From 2007 to 2009 he also worked as staff writer in Universal newspaper, for Domestic affairs and Economics sections. As freelancer, he started covering the postwar process in Kosovo from 2006 to its independence in 2008. He went on covering the massive protests after the presidential elections in Iran (June 2009). Since 2010, he has mainly worked in the production of documentaries. He co-directed with Carlos Castro and Gemma Garcia the documentaries ‘Dadaab’ (2011), about the refugee camp in Dadaab (Kenya); Ziztadak / Tábanos (2012), about non violence in Euskadi. He also co-directed the report Losing the Thread and some of the chapters of After Peace documentary series. In 2010, they three earned the Joan Gomis Journalism Award with the report ‘The refugee Somalia’. 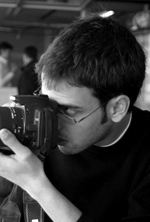 He is freelance journalist, documentary filmmaker and photographer. Graduated in Journalism, he completed his studies at the Institute of Photographic Studies of Catalonia and the Pompeu Fabra University. He was awarded with a Fellowship by 10th Can Basté Photographic Forum in 2008 for his project ‘Pension Calatrava’, about homelessness in Barcelona. As freelancer, he covered for several media worldwide the process of independence of Kosovo from 2006-2008 and the last presidential elections in Iran and subsequent protests (June 2009). Since 2010, he co-directed with Oriol A. and Gemma G. the documentaries ‘Dadaab’ (2011), about this refugee camp in Kenya; Ziztadak / Tábanos (2012), about non violence in Euskadi; the report Losing the Thread and some of the chapters of After Peace documentary series. In 2010, they three earned the Joan Gomis Journalism Award with the report ‘The refugee Somalia’. She is journalist and documentary filmmaker, specialized in Gender issues. She has a long experience working in direction, production, documentation, script. She started in Area de TV where she produced some documentaries co-produced with Television of Catalonia. She also participated in the filming in Morocco of the documentary series ‘A New Color’ (Batabat) and as a producer of the documentary ‘Fortuny y la lámpara maravillosa’ (Acteon). She has also worked for written media, including the Iberia Universal newspaper and Directa magazine. Since 2010, she co-directed with Carlos C. and Oriol A. the documentaries ‘Dadaab’ (2011), about this refugee camp in Kenya; Ziztadak / Tábanos (2012), about non violence in Euskadi; the report Losing the Thread and some of the chapters of After Peace documentary series. In 2010, they three earned the Joan Gomis Journalism Award with the report ‘The refugee Somalia’. Graduated in Journalism by the Autonomus University of Barcelona, Andreu extended his studies in Political Science at the European University Viadrina in Frankfurt an der Oder. 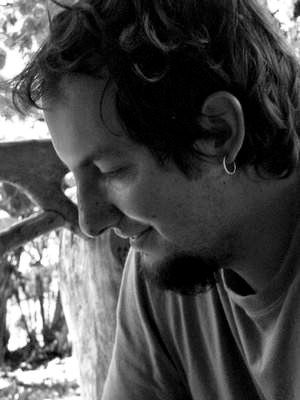 He worked from 2004 to 2007 in Barcelona as a writer and producer in various written media -as Sport or ADN- and in the local television channel BTV. After a short experience on Third Sector, in 2007 he decided to go to Berlin, where he first collaborated with the B2 Magazine. Then, he began working as producer and writter of the Spanish staff of the public German internacional TV channel Deutsche Welle. In this time, he has traveled to China, Cuba, Bosnia-Herzegovina, Armenia, Israel, Palestine and Turkey. He has also worked for several written and online media such as El Mundo, Soitu.es, Directa Magazine and El Economista. Iolanda Parra is journalist and anthropologist. She ended her Social and Cultural Anthropology studies in French university Paris X. Currently she studies a Master in Anthropology and Ethnography at the University of Barcelona. She is also postgraduated in Culture of Peace and in Conflict Coverage in the University Autónoma de Barcelona. For a decade she worked in digital media while she participated also of the Observatory of Conflictes Coverage (OCC). In 2007, she won the Joan Gomis Journalisme Prize for a report on international cooperation and NGOs in Nicaragua. She co-directed some of the chapters of After Peace documentary series and she uses to publish articles and reports in several catalan media. She has also been involved in NGO projects in Morocco and Bosnia-Herzegovina. 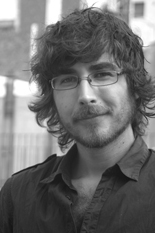 Currently, he devotes her anthropological research study on the relation between neoliberalism and peacebuilding processes..
Sergi is journalist. He is currently staff written of the newspaper El Punt. Previously, in 2010, he worked as political correspondent in Paris for El Punt, Presència, Directa, Punto Radio, COM Radio as well as TVE cultural program ‘Inguietos’. He also has traveled and written reports for Berria and other newspapers in several countries in Latin America, such Argentina or Chile, and Palestine. In the past, he also worked in newspaper Universal and Radio 4. He has participated for years of Alternative media projects in Catalonia such as Directa, Illacrua or El Diari de la Pau. In 2007, he won Joan Gomis Journalism Prize with a report written with Iolanda Parra on international cooperation and NGOs in Nicaragua. He has published the book ‘La Indirecta. Una entrevista a l’esquerra’ (Ed. Virus. 2008) and wrote the epilogue for the Fidel Castro biography written by Clive Foss. He is a journalist. He currently lives in Buenos Aires (Argentina) and publishes on Directa weekly magazine. He has covered the political and social movements in Latin America, where he has traveled and lived. In Catalonia, has worked for publications such as El Triangle and participade in social communication projects CanalSolidari.org, Boca Radio and Quepo. Along with Montse Santolino, he also wrote a report for the Anuario Mèdia.Cat -inspired in the Project Censored- with a story about Catalan banks that speculate with food. He is specialized in social change communication (Masters in Development Communication from the University of Malmo, Sweden) and he has also worked on projects related to cooperation and participation.